The former River Yealm Hotel at Newton Ferrers in the South Hams, which ceased trading in 2011, has come to the market with the Land Department and the Newton Ferrers branch of Marchand Petit Estate Agents and joint agent Savills, at a guide price of £1,500,000 with the closing date for submission of offers at 12 noon on the 23rd September 2016. The site, which extends to 2.04 acres, includes the original hotel building dating back to 1898, together with an adjacent detached accommodation block, providing four 2-bed ‘harbour side apartments’. The buildings are set within extensive grounds to the west and north, a significant part of which is woodland. 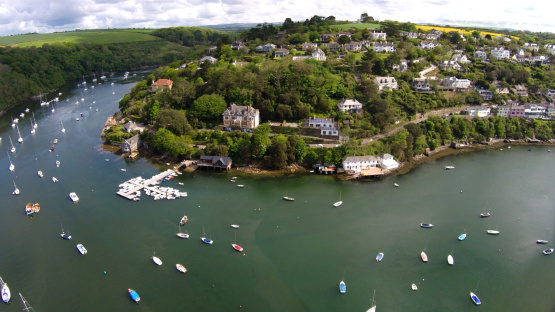 The property also comprises part of the foreshore on the southern side of Yealm Road, together with two leasehold interests in part of the fundus where the old jetty was situated. The topography of the site provides a stunning south facing aspect with wide ranging views across the River Yealm and Newton Creek. Andrew anticipates interest from hoteliers as well as residential developers for this stunning property providing excellent views in a popular South Hams location. The property is being offered in its entirety or in two lots. Marchand Petit Estate Agents and joint agent Savills are inviting offers which are unconditional in respect of planning. For further information, contact Andrew Biggs on 01548 233100 or Marchand Petit Newton Ferrers on 01752 873311.